The president doesn’t just have a problem with voters. 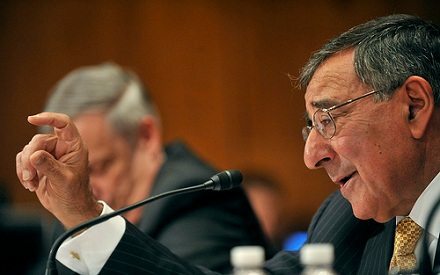 He also faces continuing sniping from Defense Secretary Leon Panetta, who has called the prospective cuts devastating. Rubin quotes one of Panetta’s undersecretaries, Frank Kendall, to broadly hint at a number of Defense Department complaints about sequestration, including the fact that the cuts would affect U.S. military operations in Afghanistan—even though the president is committed to drawing down on the U.S. military presence in Afghanistan over the next two years. Former Massachusetts Gov. Mitt Romney wants the president to overturn the defense cuts, which would require cutting a bigger slice out of domestic programs. Of course, that means Romney has to try to explain away the vote of his vice presidential running mate, Rep. Paul Ryan (R-Wisc. ), in favor of the sequestration formula that Romney has labeled an “extraordinary miscalculation” and Ryan has to defend his vote as part of a compromise mean to force President Obama to make a budget deal. This is a big nonprofit issue, not just a budget or military issue. Under sequestration, the budget of each non-defense agency is supposed to be cut by 11 percent next year. Reduce or eliminate the Pentagon cuts, and the slashing of domestic spending goes up. Full-throated nonprofit advocacy to protect domestic spending against Pentagon protectionists has been a little difficult to hear. In an election year, the drumbeat to protect military spending will get loud. This nation borrowed ahead of the game to finance the Iraq and Afghanistan wars, making military spending a most significant contributor to the budget deficit that led to the sequestration process in the first place. The deficit ballooned not because of out-of-control domestic spending, but because of the world’s biggest military machine ten times over.